The castle has been on my mind since I read that Joan de Geneville, the wife of Roger Mortimer, was imprisoned there after his part in the rebellion against Edward II and his subsequent escape to France from his cell in the Tower of London. Joan was a descendant of Walter de Lacy and brought Ludlow Castle to her marriage with Roger Mortimer. 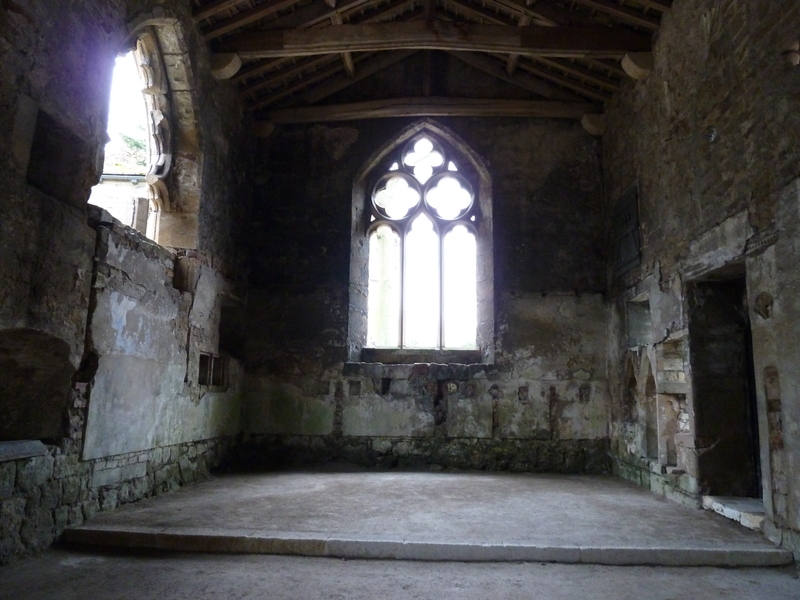 As the eldest daughter, all the family estates were settled on her and her two younger sisters, Beatrice and Maud, were placed in Aconbury Priory. But, after giving Roger twelve children, Joan found herself without protection when her husband fled abroad where he became the lover of Queen Isabella. 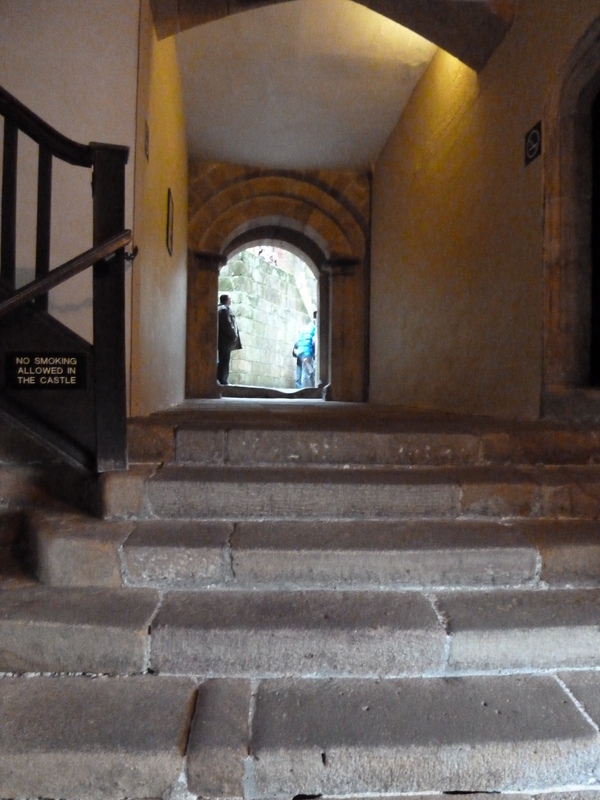 With her husband abroad, an enemy of the king, and her children imprisoned or sent to convents, Joan would have walked up these steps to her imprisonment in the castle. She would have spent time gazing from the narrow windows, looking out at the rising hills, and wondering if she would ever be free. She may have had some needlework, but her four books of romances were amongst her many possessions that had been confiscated by the king. 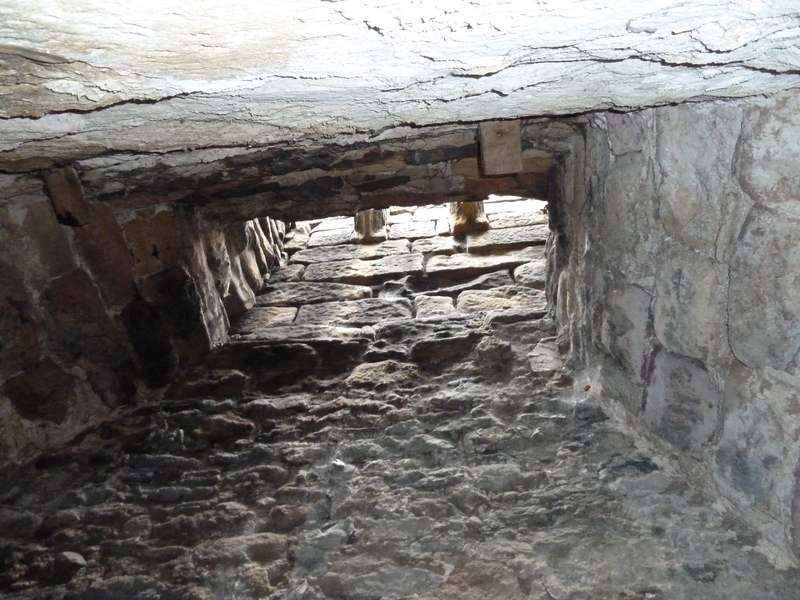 There was no one to help her escape and I doubt she could have climbed up a chimney as her husband had done at the Tower. 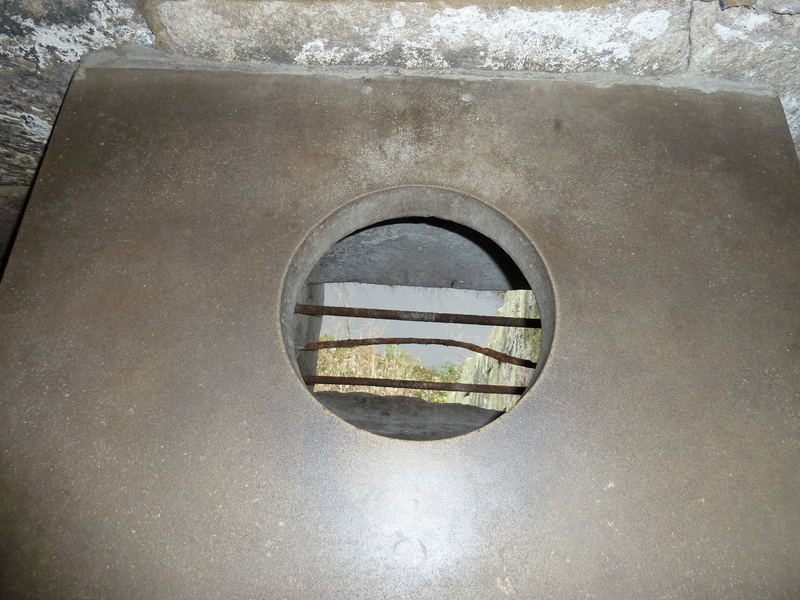 Or risked dropping to the surrounding moat from the latrine. She may have been allowed to pray in the chapel of St John the Evagenlist which was built here in the 13th century. But she would not have seen the courtyard as it is today. 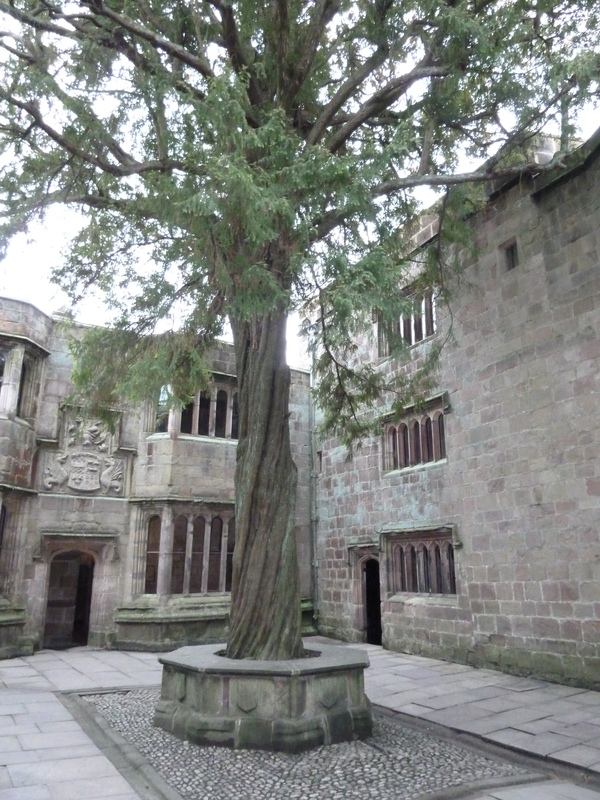 This yew tree was planted by Lady Anne Clifford in 1659 to commemorate the repair of the castle after its damage during the Civil War when it withstood a three year siege against Oliver Cromwell’s parliamentarian forces. 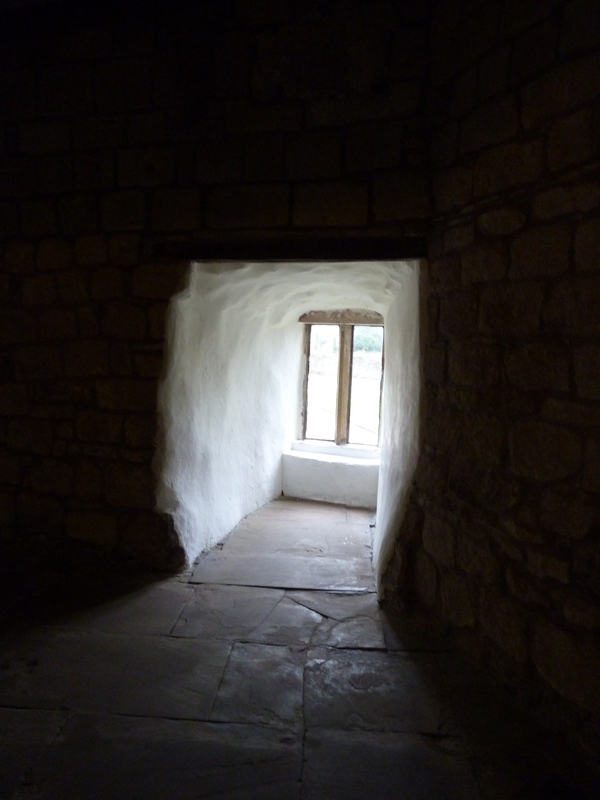 Joan spent five years imprisoned here, only being released when her husband invaded England with Queen Isabella. Having imprisoned Edward II, Roger Mortimer put the fourteen year old prince on the throne as Edward III, but in reality governed the country himself. What Joan and Roger said to one another is unrecorded. Roger did buy four books of romances and probably gave them to Joan as replacements for the ones she had lost, but they never lived together again. 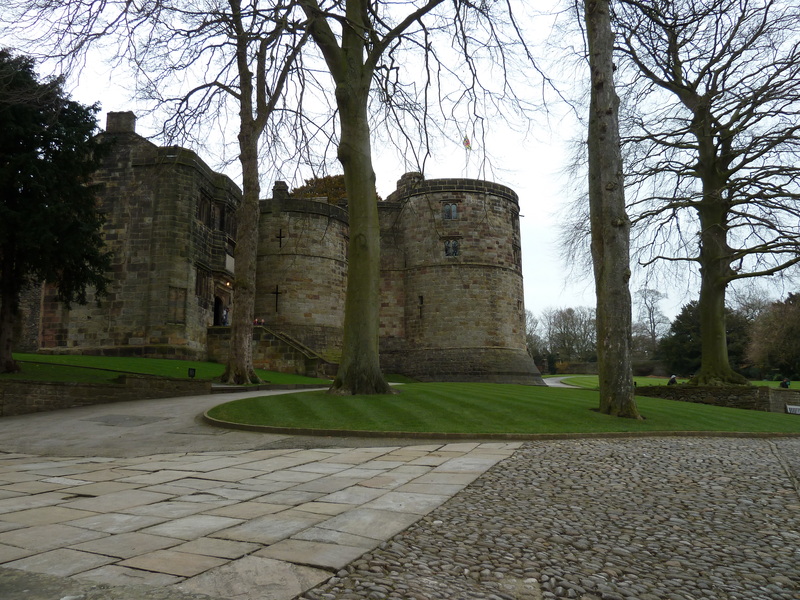 Joan lived at Ludlow Castle and Roger remained in the company of the queen. Joan is just one of the many woman who fell victim to the politics of those years. This is very interesting. I’ve recently become interested in Roger Mortimer which (eventually, I’m ashamed to admit) led me to wonder how his wife coped with the fallout from Roger’s rebellion and also to wonder what Joan felt when he returned with Isabella. It’s hard not to feel sympathetic trowards her and also to wonder how they related to each other when they eventually met. Then of course Joan had to cope with Roger’s execution and imprisonment once again. I think Joan definitely drew the short straw – however, she did succeed in regaining Wigmore and outliving Roger by several years. Perhaps her later years were more serene than her younger days! Next Can you spot the de Lacy lion?